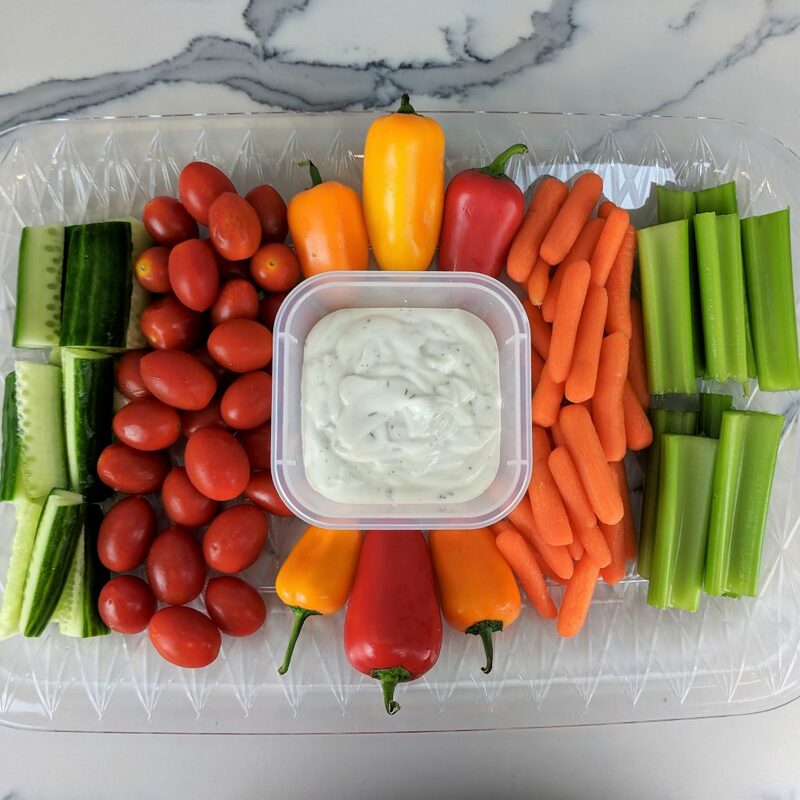 Veggie Trays are a healthy snack and the ultimate easy party contribution. However, have you ever gone to the store to buy a veggie tray? The dressing is delicious but highly caloric and the broccoli makes any party smell like old feet. The worst part about store bought veggie trays?? They are EXPENSIVE! 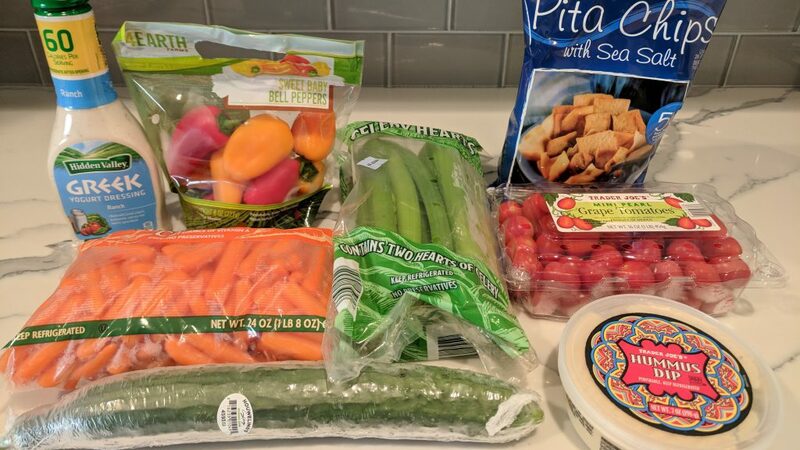 I know that convenience is sometimes worth a fee but this veggie tray literally takes 5 minutes to throw together. At Von’s (SD local market chain) a veggie tray will run you $13.99, at Sprouts it will cost you 5.99 for a personal sized tray. Think about it, it’s veggies on a plate! 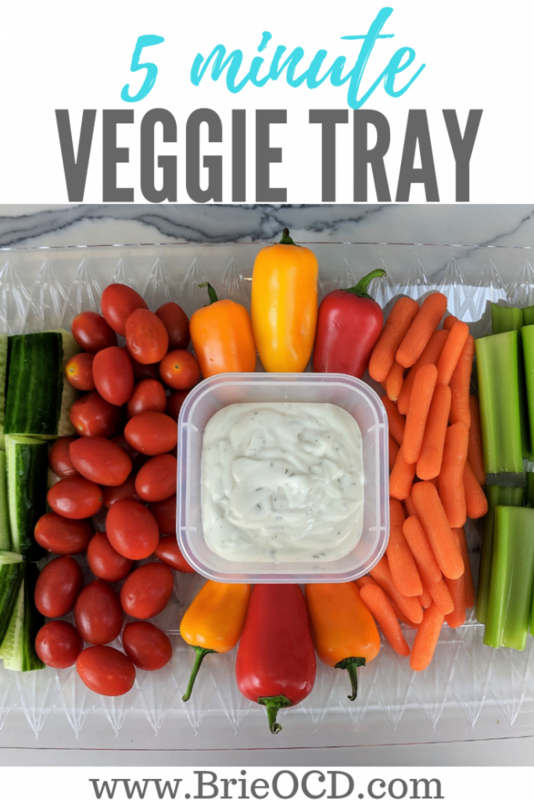 You could spend 9.99 on veggies and get 3 trays out of the produce! Moral of the story, there is no reason to buy a store bought version. I am here to tell you how to make your own! 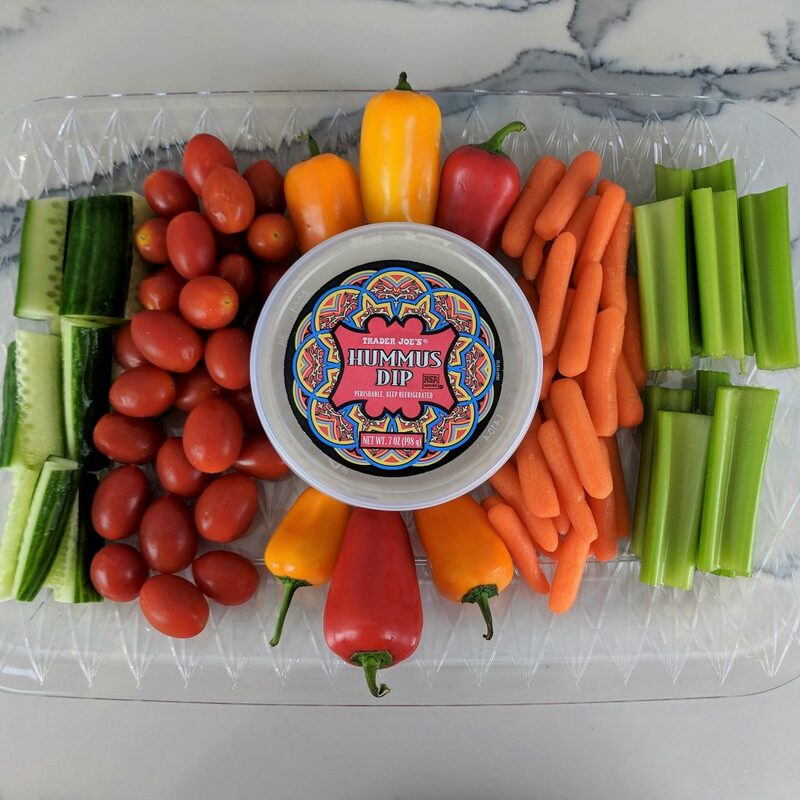 I bought everything to make this tray at Trader Joe’s! It literally took me 5 minutes to chop up the celery and cucumbers and arrange everything else on the platter. The platters I bought at Dollar Tree! You guessed it, they are $1! I buy about 5 when I go and just leave these in my pantry for party use. They are nice quality, however if they break, they were only a buck! 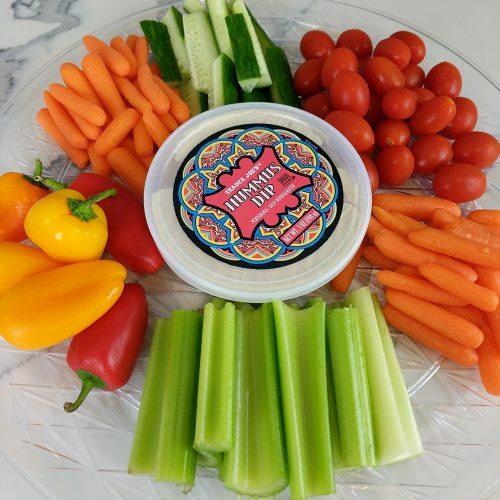 place hummus or dressing in middle of platter. arrange everything in groups around it! (see photos).